National Organization of Italian American Women Honors Three Wise Women at January 11 Event | Ciao Washington! 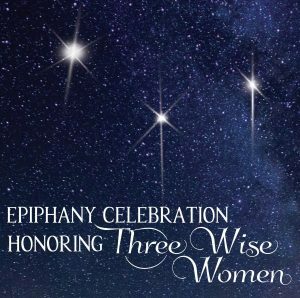 Washington, DC — The Greater Washington, DC Region of the National Organization of Italian American Women (NOIAW) will celebrate its ninth annual Epiphany event honoring Three Wise Women on Thursday, January 11, 2018 at 6:30 p.m. at Maggiano’s Little Italy (5333 Wisconsin Avenue, NW) in Washington, DC. “This year we again honor and celebrate three women for their outstanding professional achievements. All three have excelled in various ways in the field of education,” explained Diana Femia, Region president. Honorees are Patricia McGuire, President of Trinity Washington University; Angela Puglisi, Ph.D., an artist and educator of fine arts and Beatrice Tierney Stradling, Founder and CEO of the Children’s International School. The celebration begins with a silent auction featuring items generously donated by Washington, DC-area establishments.